Welcome to the All the Trimmings Release blog hop! The latest products go on sale on Wednesday, October 17th and you'll find loads of winter and holiday goodies that will coordinate and compliment other fun holiday products already in your stash. 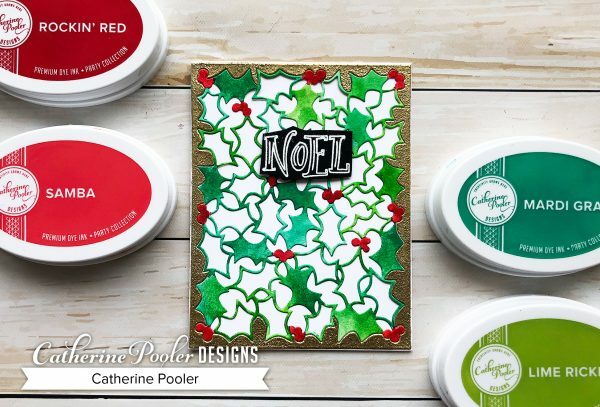 You'll be making cards, tags and special gifts left and right when these products hit your doorstep! Did you know that StampNation members get first dibs on shopping with us? The release opens up for early shopping to them on Tuesday at 3pm…just one of the many perks to being a part of the SN community. Wanna learn more? Click here. 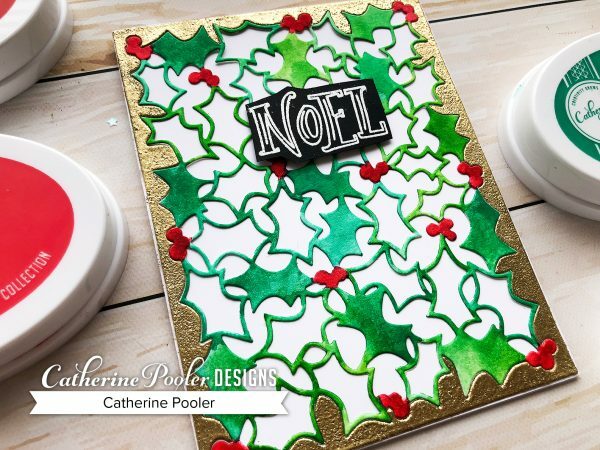 This card is made from our stunning new Holly and Berries Coverplate Die. We have quite a slew of them in stock, but I have a feeling this unique product is going to fly off the shelves! I die cut, watercolored, embossed the frame border and added a simple sentiment. The card was quite easy to do, but imagine the awe and delight when the recipient receives this! They will be WOW'd! In addition to new Stamp Sets, Background Stamps, Dies and the new Coverplate, we have INK, y'all! In case you haven't seen these in action yet, meet Samba, Mardi Gras and Suede Shoes! These colors complete our Carnivale Collection of inks from the Party Line. If you missed our few days last week of guessing the ink colors, we had a few fun videos….you can find them here! Guessing the names of the inks from the clues we left you was FUN! Darlene Plotinski, Jonna Bell, and Amanda Johnson have even more fun headed their way because…. 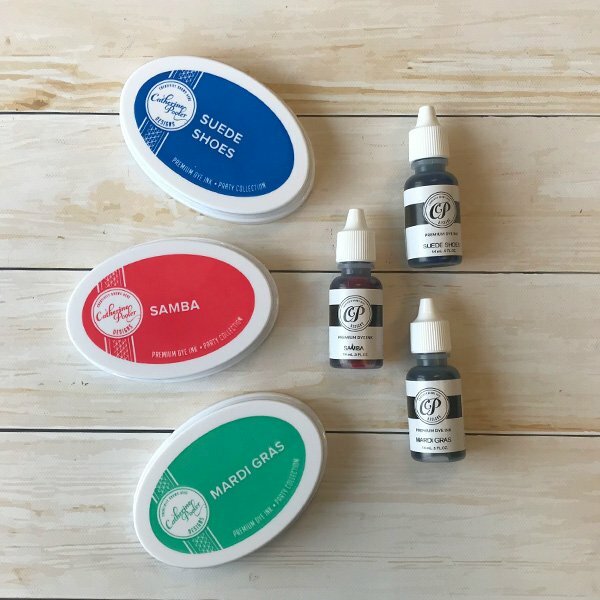 they guessed correct and are winners of these new inks! Contact support for details on claiming your prize! PRIZES: When we have a hop, we have prizes! Be sure to visit all the blogs listed below, leave comments and let us know what your favorite new product is and you'll be entered to win a $25 Gift Certificate. Winners of all our hops will be announced right here on the blog on October 22. Blog Hop List, have fun hopping! Thank you for visiting with me today, see you soon for the release!